When the sixth-generation Mustang debuted in late 2014, it created quite a stir due to its crisp, yet still vintage-inspired design, and independent rear suspension. The new ‘Stang also marked the return of the four-cylinder engines after nearly three decades and became the first pony car to be sold globally on an official basis. In fact, Ford’s decision to sell the Mustang in Europe, Asia, and Africa through its dealerships is what brought the four-cylinder back, as the smaller, turbocharged unit is exempt of the big taxes that come with a 5.0-liter V-8 in most markets. Naturally, the 2.3-liter EcoBoost was also developed so that the Mustang would deliver better fuel economy. And this wasn’t the first time when Ford turned to four-cylinder power to provide a more efficient pony. A similar strategy was adopted for the 1974 model year, when FoMoCo replaced the innovative and successful first-generation Mustang with the Mustang II. Often regarded as the black sheep of the Mustang family, the second-generation arrived at the beginning of a difficult era for the American automobile. The 1973 energy crisis brought stringent fuel economy and emissions regulations and all automakers were forced to revise their strategies, especially in the high-performance market. Engines were downsized, power ratings reduced drastically, and iconic nameplates were redesigned or even discontinued. 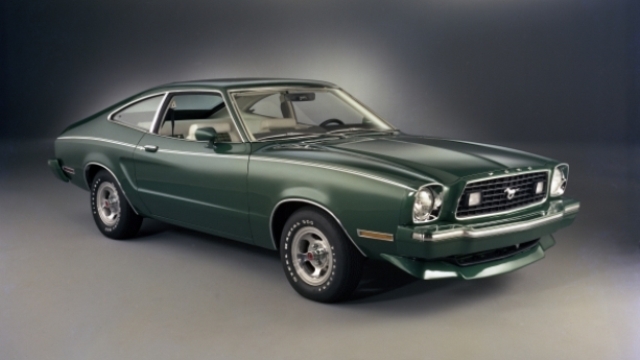 The large and powerful Mustangs of the early 1970s were no longer feasible and Ford needed a coupe with similar appeal, but with much more fuel-efficient engines. Although the company already had the Pinto and Maverick, there was still room for a downsized sporty vehicle like the original, 1964 Mustang. So Ford replaced the larger and heavier 1973 model with a car that was significantly shorter and lighter. In a somewhat surprising move, the Blue Oval discontinued the V8-powered Mustang, replaced the inline-six with a V6, and introduced a four-cylinder version powered by the same 2.3-liter unit in the Pinto. Offered as standard in the base Mustang in both coupe and fastback body stiles, the engine was a single-overhead cam, spark-ignition four-stroke with two valves per cylinder and a Holley-Weber two-barrel carburetor. The four-pot displaced 140 cubic inches, but Ford called it a 2.3-liter and from here on out it expressed all Mustang engine sizes metrically. Optional, the company offered the German-built “Cologne” 2.8-liter V6 sold in the European-made Capri. For 1974, the four-cylinder made 88 horsepower and 116 lb-ft torque, a rather pathetic output compared to the final versions of the first-generation Mustang. Rated at an underwhelming 105 horsepower, the V6 wasn’t exactly impressive either, but what bothered most purists was that the four-banger was significantly less powerful than the inline-six the Mustang had in 1964 (105 ponies and 156 lb-ft torque). The unit was available with either a four-speed manual or a three-speed automatic. The manual version, which was a bit lighter, was the quickest, needing 13.6 seconds to hit 60 mph toward a top speed of 99 mph. Hardly decent, but fuel economy was pretty solid at up to 19.2 mpg city and 26.3 mpg highway. When equipped with the automatic, the ‘Stang was more than a second slower from 0 to 60 mph at 15.1 seconds and top speed decreased to 98. Fuel economy was also lower, rated at 16.4 mpg city and 24 mpg highway. The latter was only marginally better than the V6 model, but the manual model offered an extra three mpg across the board. 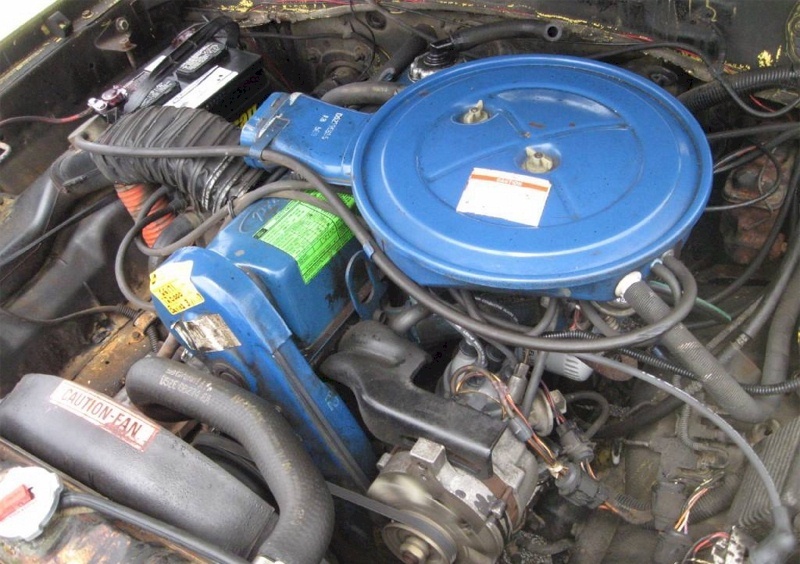 For 1975, when Ford reintroduced the V8 (with no more than 133 horsepower and 233 lb-ft torque), the four-cylinder’s output decreased to 87 horsepower and 114 lb-ft torque. Both manual and automatic models were slightly slower, while mpg figures went down too. However, Ford introduced a new trim for the Mustang with better economy that peaked at 20.1 mpg city and 27.8 mpg highway for the manual and 17.2 mpg city and 26 mpg highway for the automatic. Output finally went up for 1976, but only by 5 horsepower and 7 torque. Performance increased and top speed grew to 101 mph, mileage remained largely the same, but a new MPG model with a wide-ratio manual gearbox pushed the Mustang up to 29.1 mpg highway. In 1977, ratings went down again, this time at 88 horsepower and 119 lb-ft torque. The manual model was as quick as the 1974 version, but the automatic gained some extra speed, reducing the gap compared to the stick version to around a second. In 1978, its final year on the market, the four-cylinder Mustang had a similar output, but revised internals brought marginally better fuel economy numbers. The coupe retired with 20.1 mpg city and 27.8 mpg highway for the manual version and 17.2 mpg city and 26.3 mpg highway for the automatic variant. For reference, the most efficient 1978-model-year V6 model returned up to 16.9 mpg city and 26 mpg highway, while the most powerful V8 was good for an estimated 13.8 city and 20.1 highway. As you can see from the figures above, the four-cylinder wasn’t significantly more efficient than the V6, especially when the former came with an automatic and the latter with a manual, but that’s not to say Ford made a mistake by dropping a four-cylinder into the Mustang. FoMoCo didn’t have much choice with imports such as the Toyota Celica and Datsun 240-Z making headlines with four-cylinder engines and if sales figures are any indication — the second-gen model recorded four of the ten top annual sales — the Mustang II was a big hit. The fact that it delivered better fuel economy than its most important competitor, the Chevrolet Camaro, also contributed to this. However, it’s worth noting that the second-generation Camaro didn’t offer a four-cylinder, with the base model still using inline-six powerplants. Some competition came from the second-generation Dodge Challenger, which was introduced in 1977 as a rebadged Mitsubishi Galant Coupe. Powered by a tiny 1.6-liter four-cylinder, the Challenger an impressive 23.8 mpg city and 32.5 mpg highway for the 1978 model year. Still, the fact that the Dodge was actually an import made pony car enthusiasts favor the Mustang II. 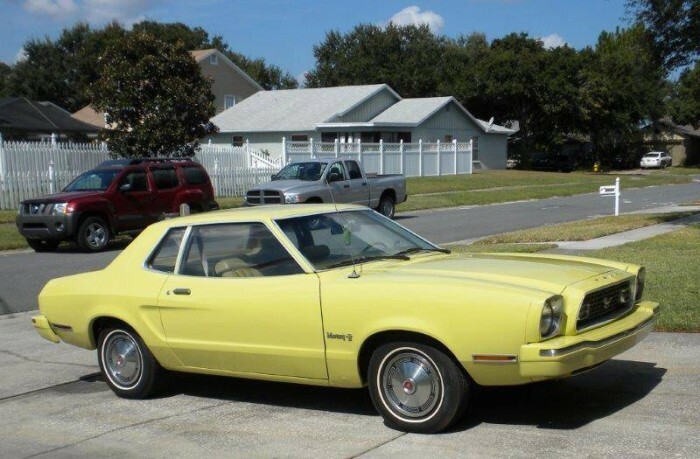 The 70s had produced, by far, the ugliest and worst performing Mustang ever. Actually, almost all American muscle cars were at their lowest point during that time. No 240z had a 4 cylinder engine. Get your facts straight mate!